Tomorrow, Saturday 10 February, Dorset County Museum opens its doors to the biggest and most popular exhibit in its 172 year history. Dippy the diplodocus’s natural history adventure starts in Dorchester and concludes in 2020 after visiting eight different locations throughout the UK and being seen by an expected 1.5 million visitors. Lorraine Cornish, head of conservation at the Natural History Museum, Jon Murden, director of Dorset County Museum and Sam Rose, CEO Jurassic Coast Trust were among those in attendance as Philippa Charles, director of the Garfield Weston Foundation passed 11-year-old Harry Swift, the very last piece of this gigantic jigsaw and thereby completing its reconstruction live on BBC Breakfast TV. 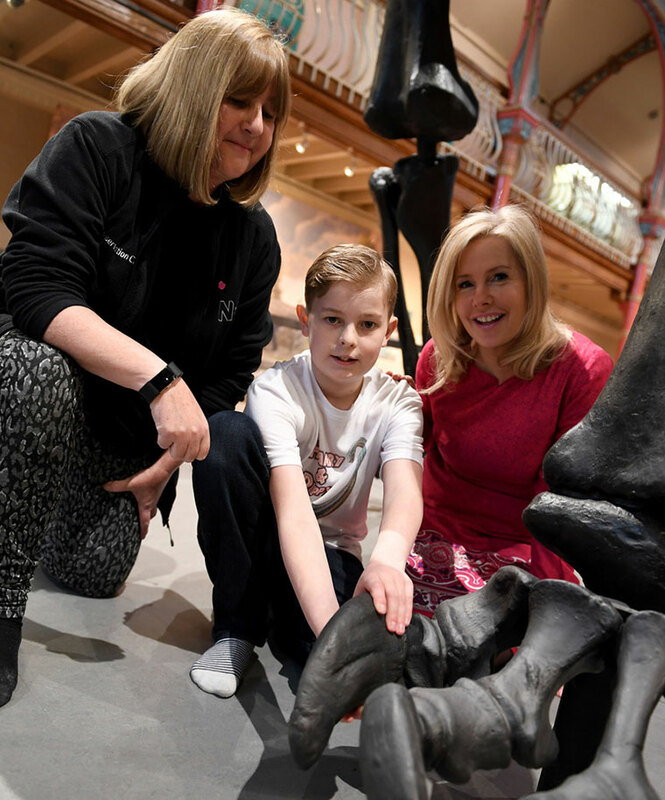 Harry who attends Fair Oak Junior School in Eastleigh was drawn at random from hundreds of entries to help assist the reconstruction of Dippy following the move from the Natural History Museum, London where he has entertained crowds for the past 113 years. For budding scientists and dinosaur fans across the South West, the long wait to visit the 26-metre long, 4.3 metre wide and 4.17 metre high Diplodocus cast is over as this will be the first and only opportunity for families across the region to come face to face with Dippy. It is no surprise that demand for tickets is high. Tickets to visit Dippy are free but are allocated on a first-come first-served basis, with many days completely booked up. Visit dorsetcountymuseum.org/dippyontour to reserve your pre-allocated time slot. To help Dippy spark the imagination of the next generation of scientists and connect the nation with the natural world, the Jurassic Coast Trust have planned over 40 inspiring family activities including arts and crafts, open-air events and adventures along the famous 95-mile stretch of coastline from Swanage to Exmouth, that was once home to roaming dinosaurs just like Dippy.